I'm older than your average brony, but then I've always enjoyed cartoons. I'm an experienced reviewer, EqD pre-reader, and occasional author. Pipsqueak insults ponies. Things end awkwardly. A gnoll appears in the Canterlot library and is forced to cope with an endless amount of problems as it gets to know the ponies a bit better. Deadpool gets stuck in Equestria, what will happen? The hell if I know. The strangest incidents in Ponyville...now in SONG! Having discovered the true nature of Apple Bloom's origins, Luna decided it was necessary to take action in order to prevent the potential consequences. Things did not go too well from there. Partway through her morning practice routine—and routine it is—Octavia seems to have gained an audience. Well, if that mare wants to listen, she'll get a good show. The Princesses' birthday celebration is here again, and Mayor Mare needs a scapegoat—er, trusted citizen—to handle Ponyville's gift. Deciding what to get for an ancient ruler who's seen everything will be a piece of cake. Twilight Sparkle definitely learned her lesson from her last time-travel experience. This one's not her fault. Really. Sometimes nature can be... annoying. Fair or not, most classes have that one perfect student, that one little flower that the teacher can't help but adore. Cheerilee's class is no different. Twilight Sparkle always wrote to Princess Celestia about her lessons in friendship. Sometimes, Celestia wrote back. Even if Twilight didn't know it. While on a work trip to help family in Appleloosa, Big Macintosh strikes up some correspondences with friends back home. These are the letters that crossed Twilight Sparkle's desk. Sometimes words don't mean what they say. An accident leaves Scootaloo fighting for her life. While everypony tries to help, a few in particular discover a few new things about what exactly it means to be a sister. A collection of friendship reports to most glorious Communist Party Leader. I don't know about Russian but in French, the word for "potato" is "earth apple". So is Starlight Glimmer Trotsky ? Or....? Pascoite, would you be interested in joining your local chapter of the Socialist Party? Today am learn friendship have many parts and letters. On one hoof, much overwhelm from choppy short segments. On other hoof, many good punchline. On third hoof, much clever talk of not-horses, Anarchist Chimera, and Capitalist bird-not-horses. On fourth hoof, keep good interesting while maintain propaganda. Fortunately pony have four hooves, so is no problem. Ahh in Soviet Socialist Republic of Horses Over Zealous Commune Horse is defeated and converted to loyal member of Party on first encounter. Comrade Sparkle Book Horse very efficient. Only question, what about Monarchy of Bug Horses? 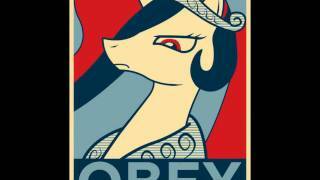 Does glorious party overthrow wicked Queen Bug Horse and install loyal puppet King Bug Horse to rule bug horses now that they see the glory of socialism? Can I ask where Vyatkagrad came from? But bug horse has true comrades, all workers look same, think same and be same. Bring glory to the communist ideal even if different? After brought under party leadership. I see now comrade bug horses too progressive, must assimilate to great motherland like other workers make not-bug ponies feel lesser otherwise. Sacrificing unity for motherland greatest of sacrifice. Comrade Bug Horse Thorax make better leader, assimilate to party. Bug Horse now look different but under leadership of Glorious Party remain same inside. Not Party Socialism not real Socialism, Fake Socialist Bug Horse Chrysalis must go to gulag to be reeducated. A glorious people's collective of hilarity, from the names to the twisted lessons. Thank you for bringing it to completion. 8167023 I think it was Moron Son of Boron who came up with Vyatkagrad. He says a "vyatka" is a type of equine indigenous to Russia. 8166557 Dutch also uses "earth apple" for "potato," but I don't think any of the other European languages do. 8169396 Is having round of vodka to celebrate! Hunger is best punchline, comrades! I’m the only one still around, so I went ahead and filled in the rest, with a little help from Themaskedferret, Corejo, and Dubs Rewatcher. Big Hair Horse have none memory of this. This is gold, pass on my kudos to all who contributed. Russian word for 'Potato' is 'Картофель', mean 'Potato.' Potato is potato. Is anything but potato? NYET! Note that vodka can be made from anything, not just potato. Samogon not allowed, but comrades still make. Also, why turnip? Radish, cabbage, many forest berries, all good food. If in south, can buy eggplant. French does, IIRC. Pomme de terre. Very funny, very cute, and very scary. Yes, that’s what the guy I was replying to said. Oh yeah . . . not sure how I missed that. You would perhaps be surprised to find that Soviet cartoons did not have such propaganda in them. They were mostly about friendship. There is at least one kids cartoon the main conflict of which is harmony with nature vs duties and obligations, and guess what, harmony with nature is the value that's promoted. Look up "паровозик из ромашково" if you're interested. 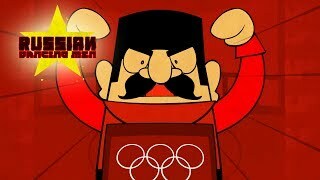 Yeah, I'm under no illusions that Soviet cartoons of the Cold War era were actually like this. It's more a pastiche of American stereotypes of such.